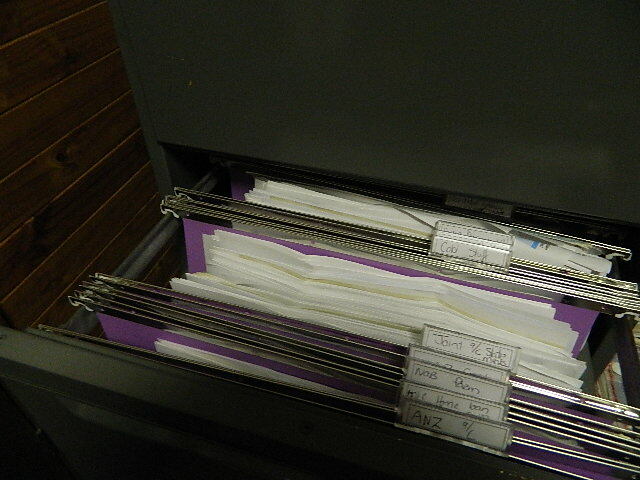 Over the last fortnight, I got my dear husband to pull out a 4 draw steel filing cabinet that was given to us. Only the colour was so disgusting, brown with yellow draws, and dirty. With a little elbow grease we took off all the old stickers, wiped it down with thinners and dusted it good. And then we headed off to the hardware shop for some Wattyl Killrust in woodlands grey. George sprayed the whole cabinet and the draws, not a sign of yellow anywhere. A lick of paint can spruce anything up. Then the big task started sorting it all out, tossing old statements and then burning it in the fire place that night. 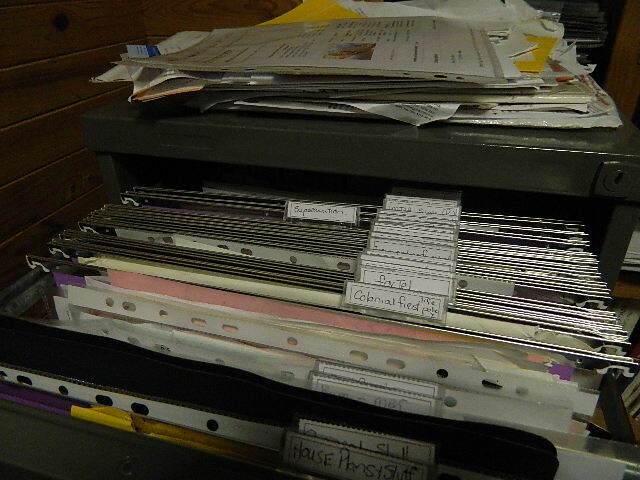 No shredder available and definately not going in the recycle bin. The task is 95% done, just taking a breather,then I get right back to it. Friday I headed off to get more purple folders thingies at officeworks and started on the rest of the paperwork. .